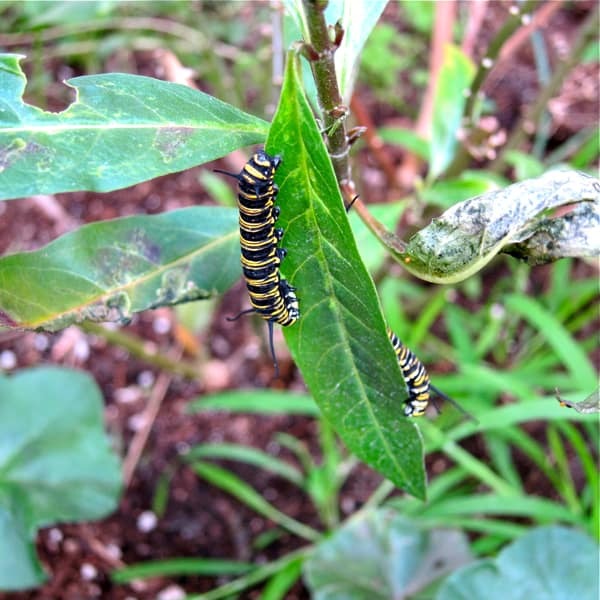 It is January here in my San Diego garden, yet we have at least a dozen of these little caterpillars, chomping on what is left from last summer’s bumper crop of butterfly weed. If this guy is lucky and escapes the hungry birds, he or she will morph into a beautiful Monarch butterfly. Butterfly weed is self-sowing and we now have tons of it all over the garden, attracting the endangered Monarchs who lay their eggs on the plants. 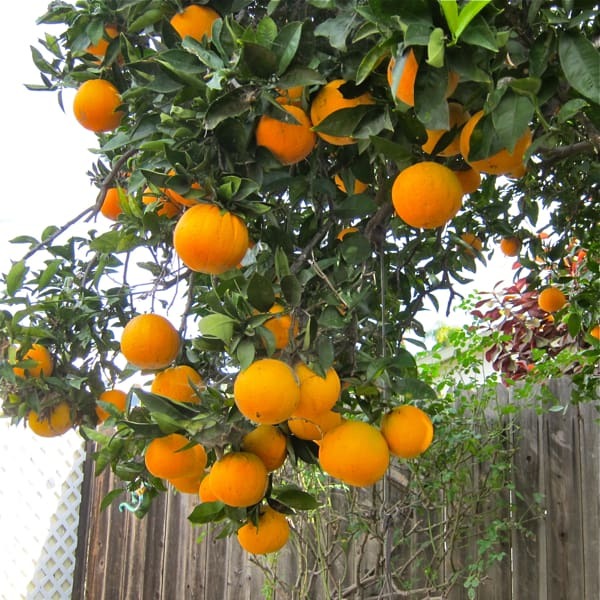 Meanwhile, we are in the midst of winter, my favorite season here, and citrus has grabbed center stage. We are still greedily squeezing fresh OJ every morning from our tree, loaded with ripe navel oranges. My favorite citrus, the Meyer lemon, has come into season and I’m picking them every day for my low-sodium cooking. This winter, I decided to net the tree in the front yard, in an effort to discourage folks from picking the tree clean. I’m happy to share – just ask, OK? Hot or cold, wet or dry, hardy thyme grows well here year-round. This is lemon thyme, one of my favorites. Growing fresh herbs is one of my favorite ways to enjoy our garden. 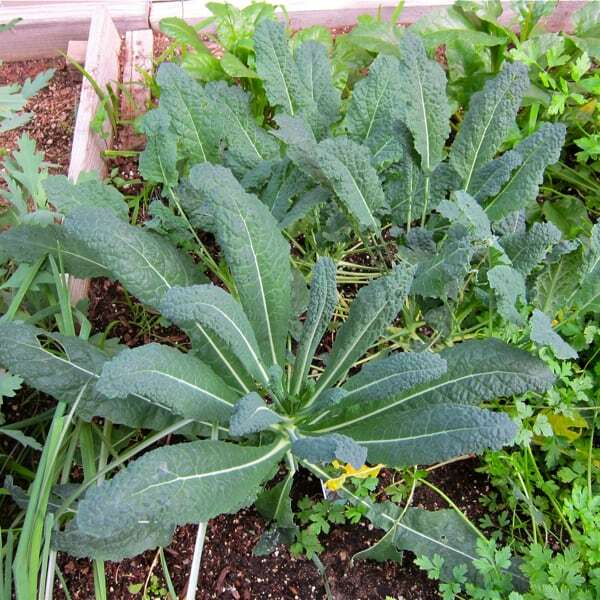 Our winter vegetables, kale and golden beets, seem to have shrugged off whatever was snacking on them last month. Pretty soon I’ll be using the kale in salads and stir fries, and roasting pretty yellow-orange beets. There isn’t much blooming in the garden, other than what is growing in pots on our deck, but the roses are just sprouting tiny leaves, reminding me that Spring is only six weeks away. By April, we will have fresh bouquets of roses in the house. 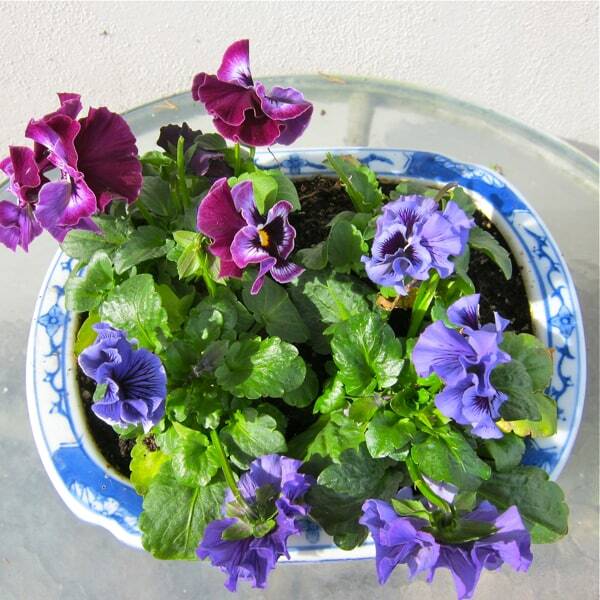 I love pansies – aren’t these cute with their frilled petals? Finally, after a beautiful wet December with much needed rain, we have been unusually dry for January. Fingers crossed for a rainy February when the freesia, hyacinths and Dutch iris will be showing off. See you then! I can only imagine seeing such things in the garden at this time of year as I sit here watching the snow fall! 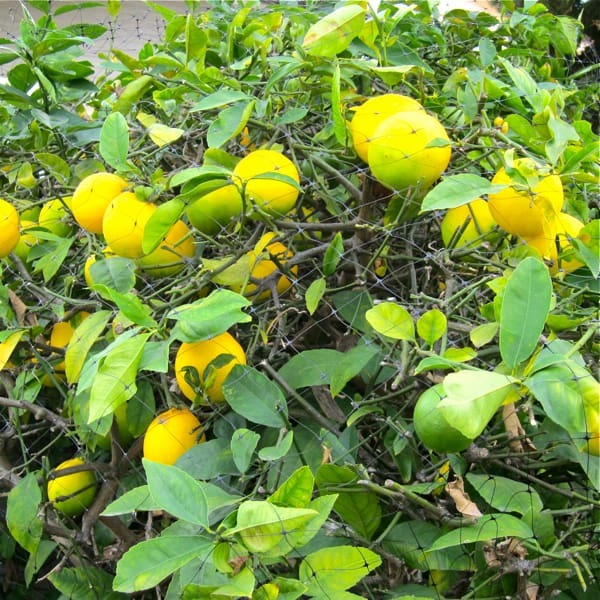 Ever envious of your Meyer lemon tree! I hope the netting works! 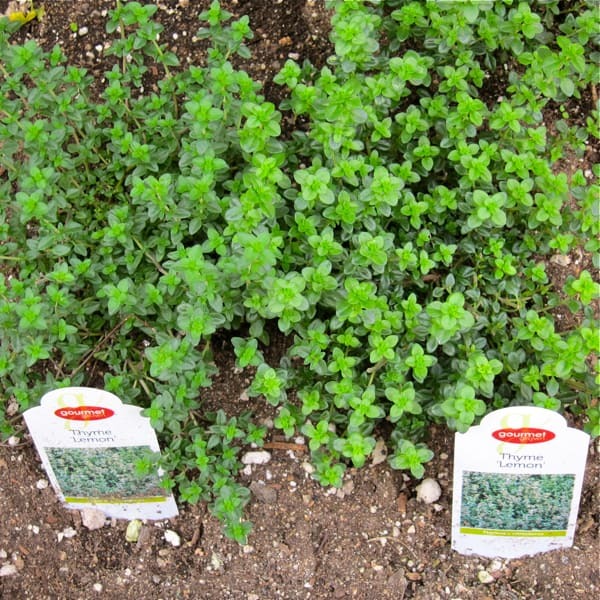 Lemon thyme is favorite of mine too. What a lovely glimpse into spring! I have been thinking about you – so glad you have the snow blower now! I have been shoveling snow all day. The photo’s of your garden make me long for warmer weather. 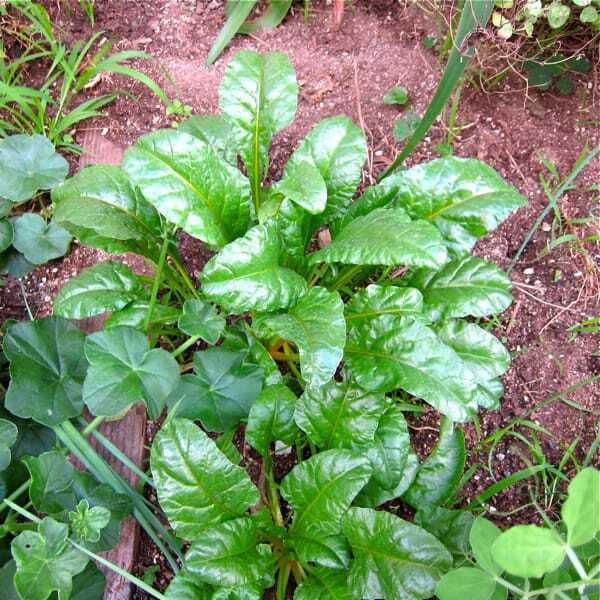 They are beautiful and you must have quite a green thumb as all of your plants look so good. I felt guilty posting this yesterday when I heard about the storm. I have shoveled lots of snow in my past. 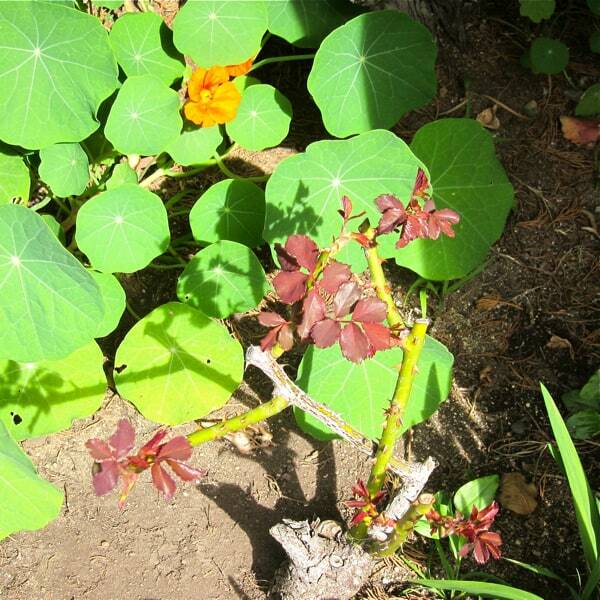 How fortunate you are to have such a lovely garden! Hoping yours gets some of the rain coming to the North – not sure it will reach you – certainly not here in San Diego.